As the creature wanders the countryside, Henry (Colin Clive) recuperates at home. He is sorry for what he has done, but still gets that crazy gleam in his eye when he talks about the god-like power he had briefly harnessed. One night he is visited by Dr. Pretorius (Ernest Thesiger), a “professor of philosophy” who was fired from Henry’s university "for knowing too much”. Pretorius wants Henry to use his knowledge of reanimating cadavers in tandem with his own knowledge of building new tissue. His plan is to procure the body of a young woman and create for it a blank brain that Pretorius has constructed. With a female, the monster will be able to reproduce and start a new race. Henry is tempted by the possibilities, but racked with guilt and uncertainty. The monster stumbles into a vast crypt just as it is being raided by Dr. Pretorius and his assistants. Pretorius is not afraid of the monster in the slightest, and offers it a drink and a cigar, which the monster greatly enjoys. He brings it back to Henry’s estate, knowing that if Pretorius cannot force Henry to bring the new woman to life , the monster can…. 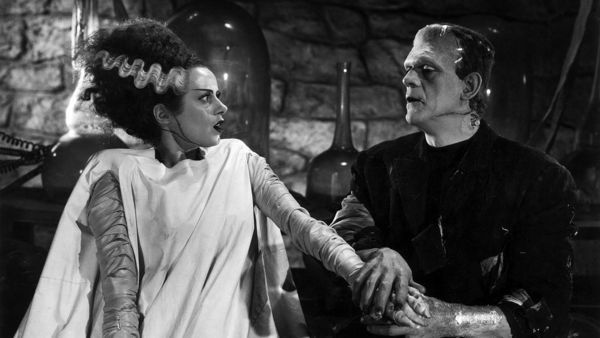 Comments: The Bride of Frankenstein was the second installment in Universal’s Frankenstein series, and seeing it just a week after House of Frankenstein is a bit of a shock. House is an unassuming trifle, a monster rally, with vampires and werewolves and mad scientists all competing for screen time. It is great fun, but not particularly memorable. Bride couldn't be more different. 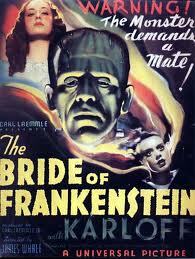 It is James Whale's masterpiece, easily eclipsing his original Frankenstein of a few years earlier. 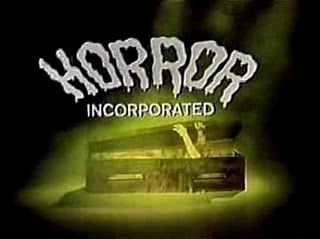 This is one of those movies that goes from strength to strength: it boasts a taut, mordantly funny screenplay by William Hurlbut (and a platoon of other screenwriters, most of them uncredited) that wisely saves the appearance of the Bride until the final minutes; brilliant performances by Boris Karloff, Ernest Thesiger and Elsa Lanchester; brooding, expressionist cinematography by John J. Mescalla; and a flawless score by Franz Waxman. But the real star of the movie is James Whale himself, who in 75 minutes of screen time ties everything together to create a strange, gothic world, "a new world of gods and monsters", as Pretorius memorably says. 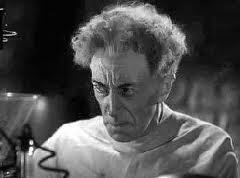 Ernest Thesiger brings a great deal to the role of the sly and enigmatic Pretorius. His eccentricities and contradictions more than make up for the dreary Henry Frankenstein, who is again played as a sweaty-palmed hysteric by Colin Clive. Elsa Lanchester seems a bit uncertain in her portrayal of Mary Shelley, but excels in the film's final moments as the title character. Our old friend Dwight Frye appears as twitchy assistant Karl, and it's always great to see him. 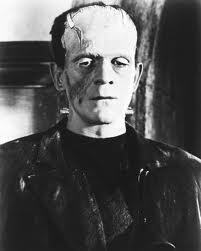 There is little I can say about Boris Karloff that I haven't said in our prior Horror Incorporated outings. If you need evidence of his talent as an actor, compare his performance here with those of Bela Lugosi or Glenn Strange when they played the same role. It's not even close. Karloff is brilliant. 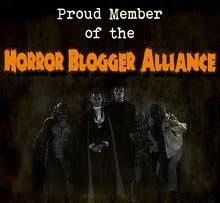 So is this movie -- easily the best of the franchise, and one of the best horror films ever made. It is indeed superb, and Karloff's pantomime shows why no other actor brought so much to the role, truly deserving of his hard won stardom, for which he remained forever gratified. In fairness to the three who replaced him as The Monster, it was the screenwriters who bear the responsibility for taking him down to size as the series neared its end. Casting Elsa Lanchester in both parts bookending the film was inspired, and both Walter Brennan and John Carradine can be spotted in smaller roles.